If you have noticed, when I speak of elements in our universe I speak of galaxies, stars, nebulae … and then I give their definition or number of object. 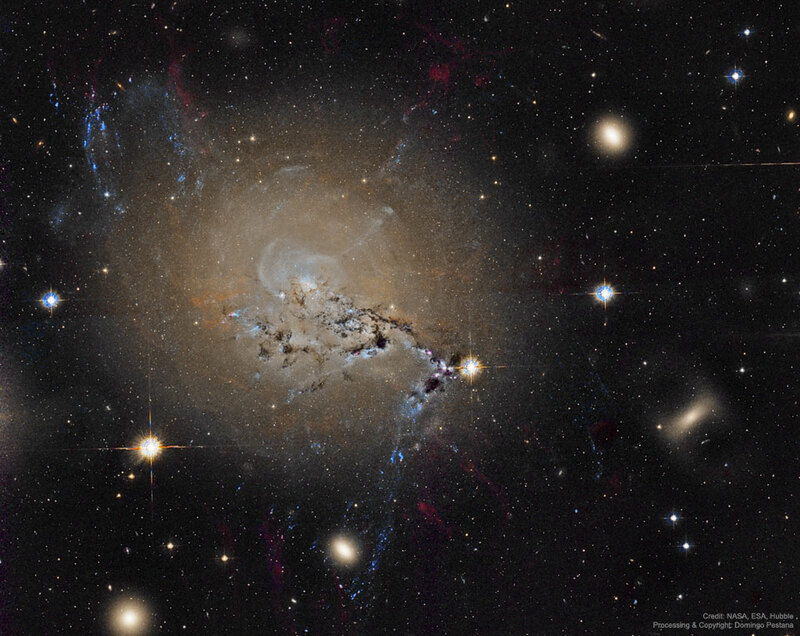 In this case, the title I only speak of, the NGC 175, why?. As I told you the other day, the universe is not static, it is an “entity” that changes, evolves, moves, very slowly (according to the speed of human life). The NGC 1275 is an object that is a set of galaxies that are colliding near the constellation of Perseus. These are two galaxies in different planes (as if something were struck on the XY axis and something on the YZ axis) giving, as a result, new galaxy as a result. Many, when you think of collisions, you think of something painful, explosions… something that, when two galaxies collide, is not like that. In fact the fusions of galaxies is something normal and natural. In the process the stars do not collide because the universe is gigantic and the separation between them is so great that collisions are highly unlikely (not going to happen, but it is more than difficult to happen). In galaxy collisions, like the one we see in NGC 1275, gravity commands. Small elements such as gas or cosmic dust is the real danger to being this, by gravity, easy to heat is the one that creates the real danger. From the collisions of galaxies new stars are born thanks to the gravitational contributions of dust and hydrogen in gas that, with gravity, helps to condense. As one writer would say, it is a cosmic dance under a gravity waltz. Something we are fortunate to see.